including Greek, standard English, numbers and characters. 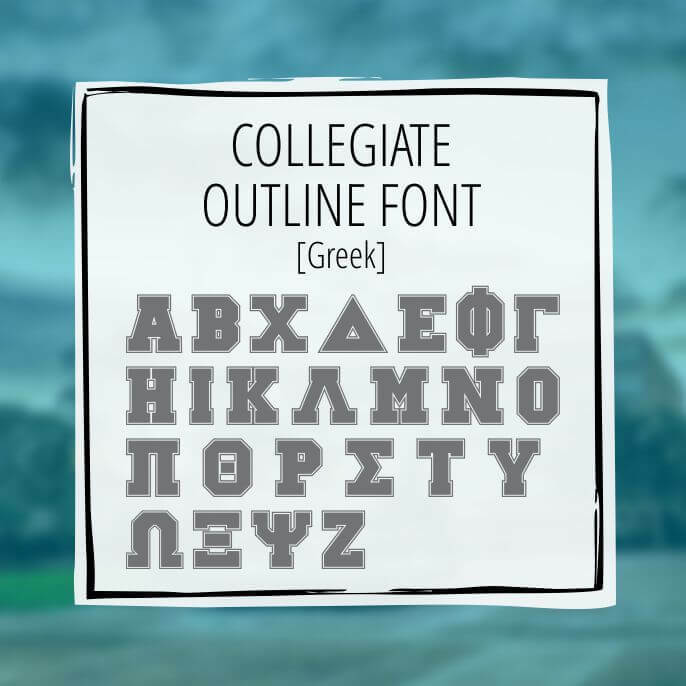 The Greek Collegiate Outline font works great for fraternity and sorority shirts that require standard looking Greek style lettering. 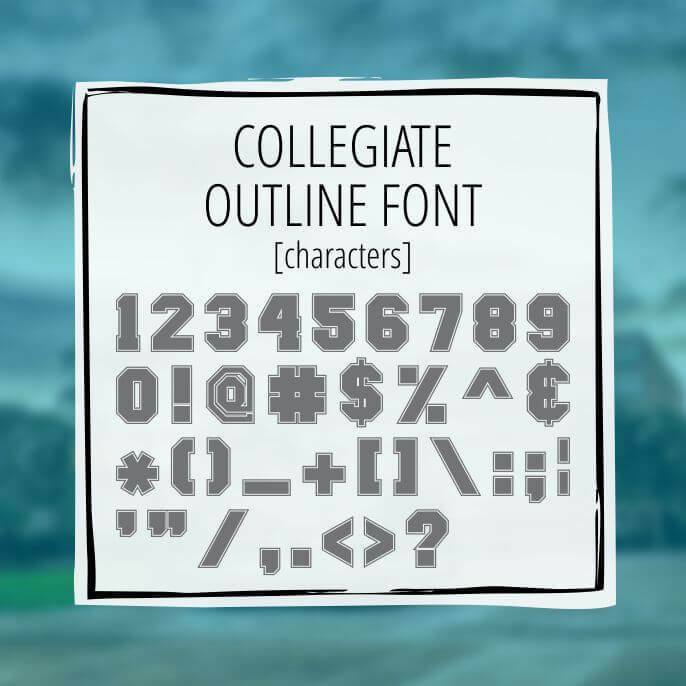 The Collegiate font has 87 characters including all keyboard characters, numbers, Greek and English. 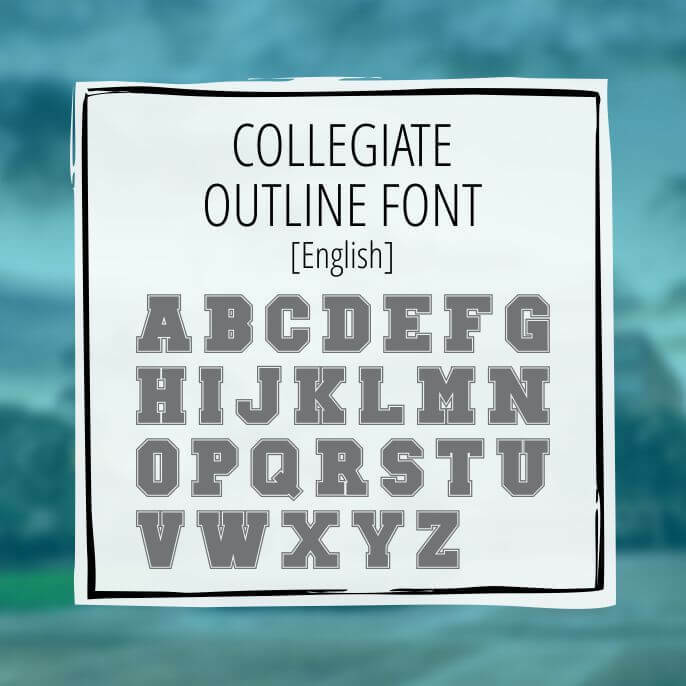 The companion font is the Collegiate Block font or purchase both Collegiate fonts as a set and save money.